When we send our children off to school, we expect that they will arrive to school and return home safely. Unfortunately, as statistics show, that is not always the case. The United States Department of Transportation collects data on the number of school bus accidents that occur nationwide and since 2003, there have been nearly 1,400 school bus accidents that resulted in one or more tragedies. In the majority of these accidents, most of the fatalities were occupants of the passenger vehicle that collided with the bus. According to the DOT, 344 children have been killed in school bus accidents since 2003. What may come as a surprise is that very few are killed while actually riding the bus. The majority of fatalities occurred as an occupant of another car or as a pedestrian. Only 55 of the 344 fatalities happened to children who were riding on the bus during the accident. Children who were travelling in another passenger car accounted for 161 of the deaths. Another 128 were pedestrians or bicyclists who were hit by a school bus or another passenger car while getting on or exiting the bus. Pedestrian child fatalities are usually entirely preventable. 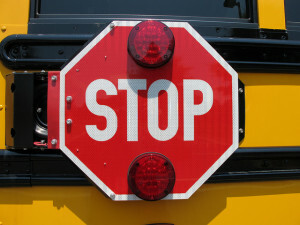 There are laws in place that require motorists to stop behind a bus while it is loading or unloading students. The sad truth is that many drivers are in a hurry to get to where they are going or simply fail to pay attention to these traffic safety laws. As a parent, it is important to remind your child about safe practices for getting on and off the bus. Making sure they understand how to stay safe could make all the difference in the world. What Should You Do If Your Child Was Injured In A School Bus Accident? If your child was injured or killed in a school bus accident in Spring Hill or Brooksville, you need to speak with a Hernando County Injury Lawyer at Whittel & Melton about your legal rights. Depending on the events leading up to the accident, there could be one or more other parties that can be held liable for damages. Contact us today online or call 352-666-2121 for a free case evaluation. The hiring of a lawyer is an important decision that should not be based solely upon advertisements. Before you decide, ask us to send you free written information about our qualifications and experience. This web site is designed for general information only. The information presented at this site should not be construed to be formal legal advice or the formation of a lawyer/client relationship.